For the Italian company Giobagnara, fine craftsmanship is not only their specialty but it’s their pride. Each collection is produced according to the demanding criteria of high quality. All their designs are 100% made in Italy in their Genoa workshop. 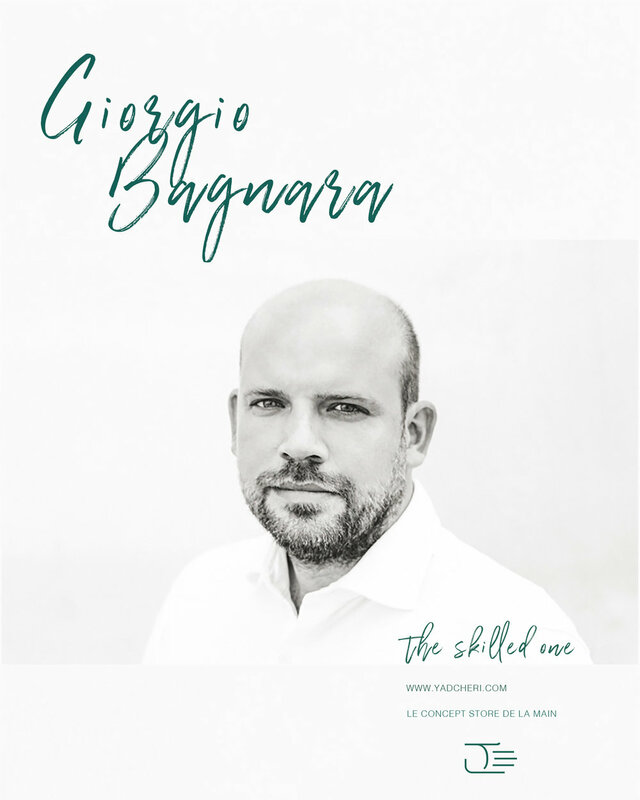 Giorgio Bagnara, founder of the company alongside his wife Vanessa, comes from a family renowned for cultivating the art of living. His inspiration to create his brand and to focus on working with leathers came from working with his parents who opened in the 1990’s a store selling luxury home accessories. It was then that he began to create a very eclectic collection using leathers from the fashion industry instead of the typical leather furnishings. Today, the secret of Giobagnara’s success comes several things. The open-mindedness and passion of the company is certainly a characteristic but it is also the combination of craft skills combined with cutting-edge technology and design. By paying attention to detail, Giobagnara is able to create unique and timeless products. The brand is distinctive for elegantly designed creations that express luxury without ostentation. Giobagnara believes that the talented craftsman is at the center of every production process. The human factor is essential, as it is only by practice that a worker acquires the proper skill. An uncommon and virtually limitless color palette of leathers and suede are available, handcrafted to the highest standards using both traditional know-how and leading-edge technology. The approach to tradition and modernity leads Giorgio Bagnara to experiment: he constantly pushes technical limits in his quest for objects that are both beautiful and relevant, and in doing so relies on the skills of the company's craftspeople. The production and the administration of the company are set in the same building which allows a direct control of the manufacturing process. But it should be noted that establishing headquarters in a refurbished old dock in the central area of the the city close to the sea and the main attractions of the harbor, certainly adds its charm to the working environment. Italy has a long tradition of quality and craftsmanship and Giobagnara is an important part of this know-how.